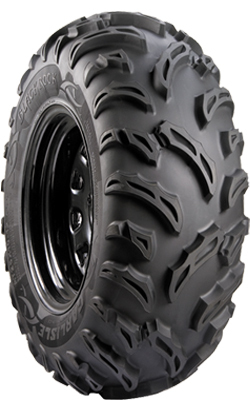 Carlisle's Black Rock tires feature a smooth riding, 3/4" tread depth, with durable 6 ply rating. They also have a rim guard feature to help protect wheel edges. Suggested for soft to intermediate surfaces. Great for muddy trail riding.